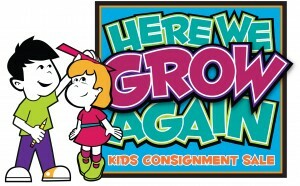 Here We Grow Again Kids Consignment Sale Aug. 24-26 in Danville, Ind. Q: So Katie, what are some insider tips for a great shopping experience? "The best advice is to come prepared. We will have a map of where everything is when you enter the Expo Hall so you will not forget anything that you had planned on buying. Make a list of the items you need for fall/winter. Do that even though it is warm outside. Don&apos;t forget about holiday items and winter coats and gloves. 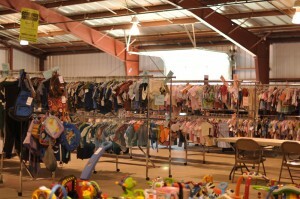 Give yourself time to look , so you are not rushed since there will be over 13,000 items on the floor to look at. If you need to bring your kids then bring a stroller with plenty of snacks and items to do while you are shopping. I know personally how hard it is to shop with a little one so I would always try to trade shifts with a good friend so I would not have to bring my baby! Sunday is the half price day which is a GREAT way to come back and see what items are still there. It helps to have things thinned out a bit so you can take a better look at what is on the rack." 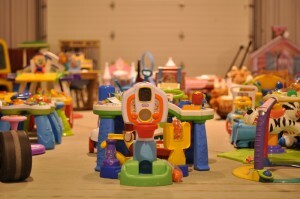 Q: What kinds of items can families expect to find at this sale? "As with every sale that we have, you will be able to find clothing from maternity, infant, toddler, kids and junior clothing. That includes coats, socks and shoes for those sizes as well. We always have lots of toddler beds, bath items, bedding, toys, and bigger infant items such as strollers. This sale we will have winter items such as coats and boots along side holiday costumes and outfits. We have some double strollers tagged already which is a new addition to our sale!" Q: What will be new and different from your last sale? "We will have a lot more room. In fact, we gained 8,000 square feet! We ran out of space last time, which was a blessing because that means we had tons of items! Being in the main building this sale means closer bathrooms and AC/heat! We struggled last sale with the weather and it made it hard to be in the barn with poor lighting and no heat!" 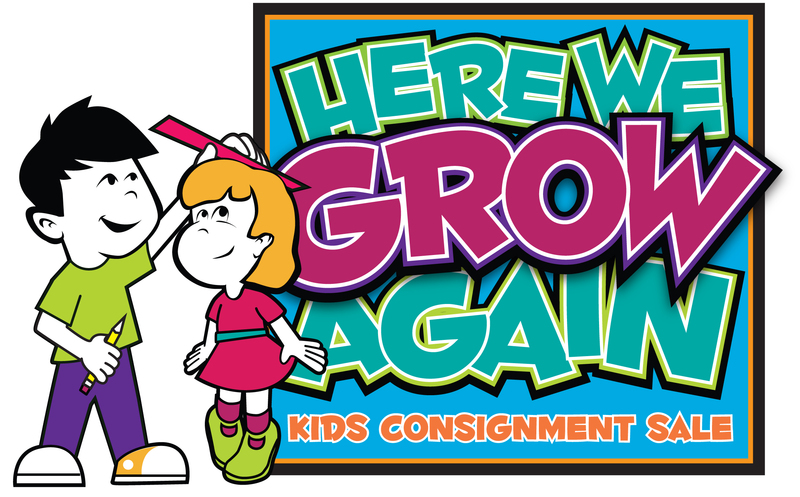 Now that you are in the know, you have no reason to miss Hendricks County&apos;s largest kids consignment sale. (Please note the presale is open from 6-8 p.m. on Aug. 23 for teachers, vendors, consignors and military. Don&apos;t fit in that category but want to shop early? Comment below about what you hope to find at the sale and include your name, and you will receive a personal shopping pass to the presale on Aug. 23 just for being a follower of my blog! (Information must be received by Friday, August 17 to receive the pass in time) As always, I want to hear what you think of the sale! Share your bargains, and don&apos;t forget to leave a comment below of with your favorite sale find!